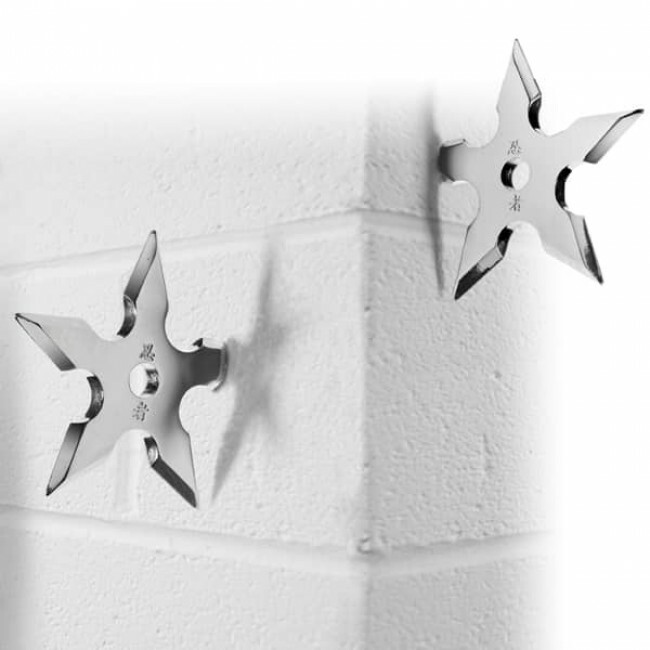 Each metal Ninja Coat Hook has one corner cleverly engineered into a screw, which allows for secure anchoring to wall or door, while making it look like it has been hurled by a deadly Ninjitsu assassin. Measures 4" in diameter. Fed up with the flat packed, MDF birch veneer finished world we live in? If so, then stop accessorising your home with uninspired BIG BOX produced functionality and put some punch back into your place with these Ninja Coat Hooks. 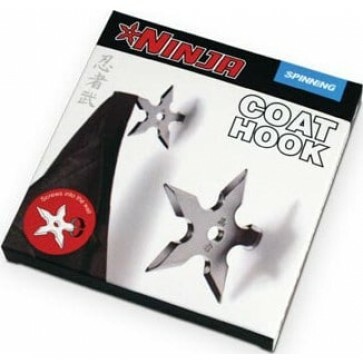 The Ninja Coat Hook will transform your hallway into the scene of a Shanghai back street stand-off. 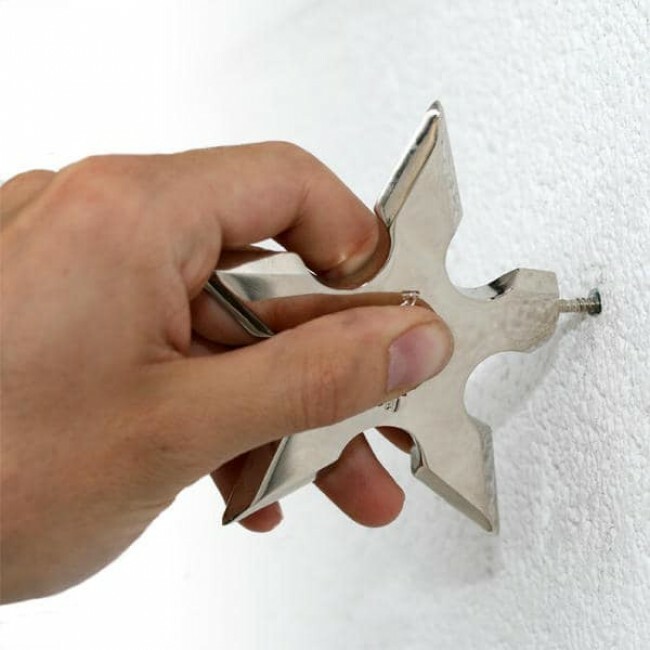 Each metal Ninja Coat Hook has one corner cleverly engineered into a screw, which allows for secure anchoring to wall or door, while making it look like it has been hurled from the hands of a deadly Ninjitsu assassin. So stir up fond memories of Big Trouble in Little China and/or Teenage Mutant Ninja Turtles, and add some cutting edge deadly design to your home. Made of super strong nickel-plated zinc alloy. Measures 4" in diameter.